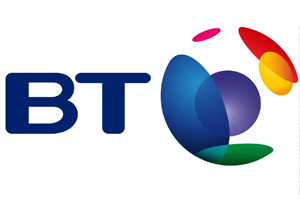 BT has appointed Adding Value to work on its 2010-11 sales incentive programme, following a competitive tender. Commenting on the account win, Adding Value CEO Randle Stonier stated: "We are delighted to have won this and look forward to working with BT over the following months." Stonier added that work would commence immediately and the programme would run until the third quarter of 2011. "The client is currently exploring a number of options and award criteria and measurements are yet to be finalised." The agency announced an expansion in June this year, with the appointment of three new staff. Commenting at the time, Adding Value managing director Tina Morris said the new staff had joined at a "crucial time in Adding Value's growth. BT’s agency roster process and its use of a preferred supplier list has come under scrutiny in recent months, after the telecoms firm’s Global Services division employed the Waterford House Partnership, headed up by former THA Group chairman Kevin Ingram, for an event this year in Istanbul. Speaking exclusively to C&IT in July 2010, BT's head of corporate media relations Dan Thomas confirmed that the brief for the 2010-11 programme was "currently out to competitive tender and we hope to select a supplier shortly."